Archaeologists have discovered some new stone blades from a cave from South Africa that seem to indicate that early humans were already quite adapt at crafting blades. The scientists published their findings in the journal Nature. The tiny blades are no longer than 3 cm in length were used as tips for throwable spears or additions to spiky club-like weapons, states Curtis Marean, an archaeologist at Arizona State University, in Tempe. 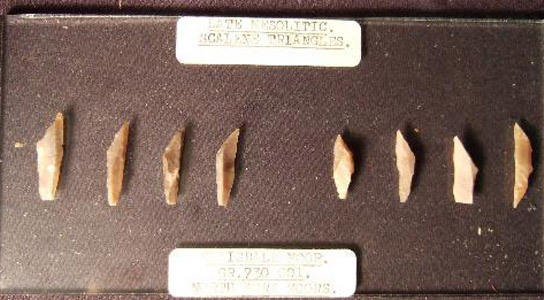 Twenty-seven microliths were found in layers of sand and soil dating back 71,000 years and representing a timespan of 11,000 years. This adds credence to the idea that early humans were able to pass on their ideas to the next generation. Evidence for early human technology is patchy at best, which is one of the reasons why continuous cultural transmission has been disputed. Some archaeologists think that human populations could have developed the ability to make such complex tools and then lost it, as the size of the population fluctuated over time. These tools are made using a number of steps. A silcrete rock needed to be collected, then heat-treated to make it easier to flake. 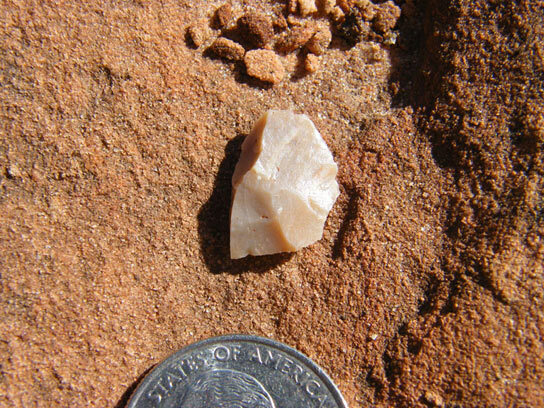 A large rock would have been used to flake of sharp slivers of the rock. This makes Marean think that people had to talk to each other for such a process to be transmissible. However, this might not count as evidence for complex thought. Some scholars want to see evidence of art and ornaments in order to grant this. Since the flakes are small and light, there is the possibility that modern humans used such spear-throwing technology to outsmart Neanderthals when they spread out of Africa and into Europe some 100,000 years ago. Spear points developed by Neanderthals were too heavy to be thrown, so this could have given early humans an advantage when competing for similar resources. Be the first to comment on "Stone Blades Suggest that Early Humans Passed on Technological Skills"